Trying to save a buck can end up costing you big time! Especially, if the place you’re trying to save the buck on is employee training and certification. Any employee who handles hazardous waste must have their 24hr First Responders Certification; otherwise, the potential liability you could face is staggering. trained correctly is just a waste of good money, and your money could be better used elsewhere. Besides, it’s just a ploy by the hazardous waste transporters to extort more money out of you, right?! Under instructions from you, you send them both into the warehouse to move some chemicals. Dumb has the bright idea that it would be much quicker and easier to just pick up the uncovered drums by hand and carry them over to the other side of the warehouse. Dumber decides to just use his bare hands because it’s easier to grip the drums that way. The next thing you know you hear screams of pain from the warehouse and discover they have both dropped their chemical drums and the chemicals have spilled all over the floor and all over them. They are screaming in pain, telling you that their eyes hurt and they are getting rashes on their skin. You take them to the hospital or Urgent Care to get them treated. You then clean up the spill, repair any damage and all seems fine. Crisis averted. 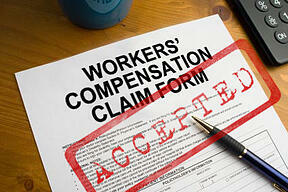 The first thing that happens is that they file a workers’ compensation claim. You may have tried to hide this fact from the employees and insurance company, but the clinic advised the employees to file the claim. Due to the nature of the injury and the statements of Dumb and Dumber who indicate they have never received any training on how to properly handle these chemicals, the insurance company sends out one of their safety representatives to pay you a visit and see how all this happened. They discover you did not train the employees appropriately and that your employees have no 24hr First Responder Certifications. The claim becomes an accepted claim; the claims adjuster starts adding massive medical, temporary and permanent disability estimates to each claim; and your workers’ compensation premiums look like they may explode due to the increase in your x-mod. Next, Cal OSHA hears about the accident from the insurance safety representative and they decide to pay you a visit, also. Since they are the ones who require that all employees who handle hazardous waste be certified, they are not too happy that you have failed to do so. Enter really big fine! DTSC comes in next. 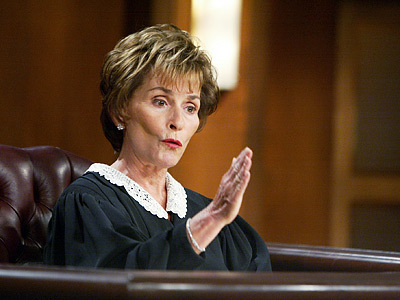 If you are a repeat offender, guess what? Your license is now gone and good luck getting it back! Now, for the really DEEP @#$! Dumb and Dumber find out through their workers’ compensation attorney and their friends that have a really good liability case against you, and they decide to sue your company for negligence. Now your legal fees and potential liability in this matter have just gone through the roof! So, the bottom line is…Get your frontline employees who handle hazardous waste trained and certified! That certificate will protect you from the majority of the issues we just outlined. It’s not worth saving a few bucks or in believing companies are out to just make a few additional dollars off of you. Certification matters. It should matter to you, it should matter to your company and it should matter to your bottom line!